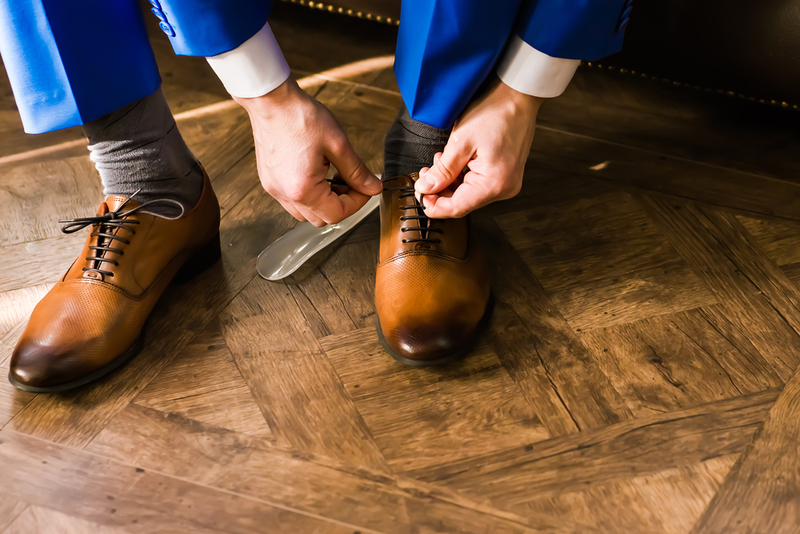 Home Style Advice	Men’s Dress Shoes in 2019: To Shine or Not to Shine? While most professional suit-wearers always have perfectly polished, shined shoes, current trends are leaning more towards suede and soft leather shoes. Suede shoes can provide comfort and dress down a more formal look. Shoes made of soft leather not only look ruggedly handsome but can be a practical choice for certain types of weather if they’re sturdy and waterproof. With the variety of men’s dress shoes available, how do you know which shoes go with which outfits? When are polished shoes more appropriate? We’re here to help. When you’re invited to a black tie event like a formal dinner party or a wedding, you’ll probably be wearing a tuxedo. 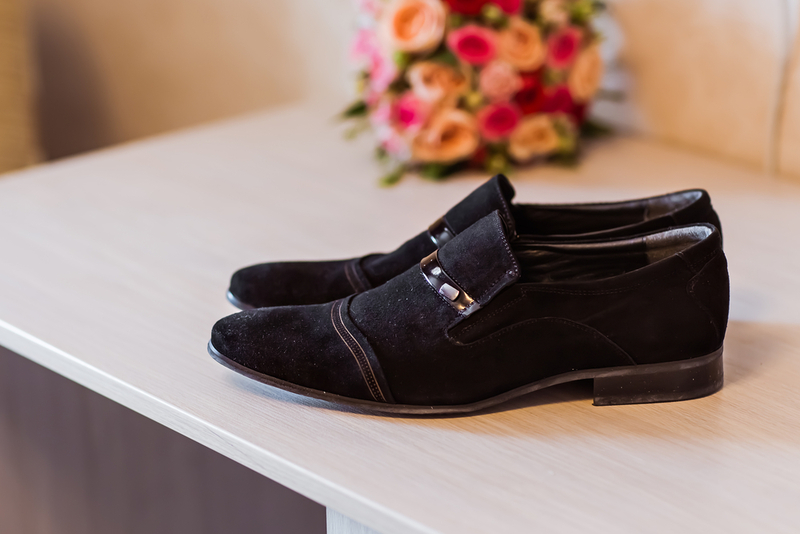 A formal event is a perfect time to rock polished shoes with a black tux. Choose a pair of leather oxfords or wingtips and let them shine. If your tuxedo is black, which is usually the standard for black tie events, stick to a black pair of shoes. If you’re attending an event with a little more fashion freedom, like the prom, make sure your shoes coordinate with your tux color. Shined black shoes go well with gray, burgundy, and navy. Brown shoes go well with navy, too, but also tan, grey or deep brown tuxedos. We love a polished shoe with a formal outfit, but there’s no need to have them shine with suits you wear to work or on casual date nights. Suede or soft leather shoes can still make you look put together and stylish, without looking too formal or stuffy. Consider investing in a pair of black or brown oxfords, which can be worn to work and during weekend activities. Soft leather loafers can be a welcome change from your typical oxfords or derby shoes. They work well with dress pants, chinos, or jeans. Suede loafers are slightly less formal than leather but can add a touch of elegance to a casual look of dress pants and a button-front shirt. If the loafer look isn’t for you, there are plenty of other suede or soft leather shoe options. Soft leather boots, suede oxfords, or suede chukkas pair well with jeans or dress pants. Whether you’re stepping out in a tux and polished shoes or a suit with more casual kicks, don’t forget to complete your look with accessories! Jim’s Formal Wear has everything you need, from pocket squares to vests, socks, and more.